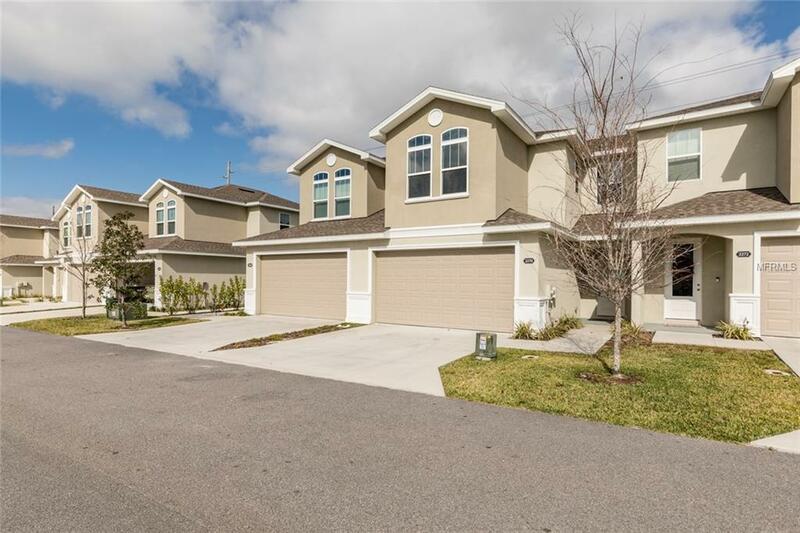 Just like new 3 bedroom, 2 bath townhome built in late 2017 in sought after and gated Montclair Lake Townhomes and Villas in the heart of Clearwater. Home is ready for immediate occupancy, no need to wait months on the builders inventory to come available.The well-appointed kitchen features solid wood cabinets, granite countertops, a breakfast bar and stainless appliances, all are like new. The very large family room has gorgeous tile that looks like wood and a triple slider opening to the back patio. Upstairs you will find all of the bedrooms with the Master Bedroom enjoying a lovely en-suite bath. A second full bathroom services the other bedrooms along with impressive closet space. The home also features hurricane shutters and a large two-car garage with opener. The community offers a grand pool and lovely lake which makes for a safe and serene place to live. Convenient Clearwater Beach, Countryside Mall, Downtown Dunedin and an easy commute to Tampa makes this a great buy.